Perfect for a family compound of a main house and 2-3 bungalows or build separate houses for a rental income business beside your own home. Many options are available for this unique property made up of four private 2+ acre parcels available within a ten acre property bathed in cool mountain breezes and unsurpassed 360 degree vistas of ocean and mountains. No tunnel vision views here! 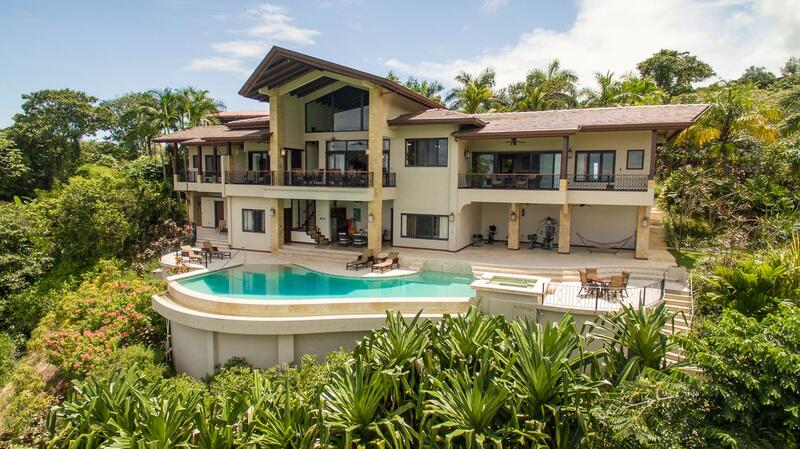 The property overlooks the magnificent Manuel Antonio National Park. Known as the “Jewel of Costa Rica”. It is just 12 mins to the Quepos airport, and 17 mins to your docked boat in the incredible new Pez Vela Marina in Quepos. The gate way to one of the most extraordinary fisheries in the world. There are an endless number of activities to be found in the local area. From Sport fishing, jungle hikes, waterfalls, bird watching, zip lines, surfing and white water rafting on the Rio Naranjo located a few minutes from the property. The town of Londres is just minutes away also, where all the amenities can be found, groceries, hardware, local restaurants & banking. The large lots offer privacy & security but you are still in touch with neighbors, “and the monkeys!” Wildlife is abundant in this area the colorful Toucans and soaring Scarlet Maccaws are simply breathtaking! Full time on-site maintenance and security personnel are available. Electricity and water are on the property. An equal 25% common area ownership of mother lot has been created. All roads on the property are completed on solid, original ground. No “fill” areas. The property is beautifully mature with lush landscaping. Many mature mango, banana, limon, avocado and indigenous fruit trees located through out the property. Flora galore!! All legal work to convey clean/clear/legal title is complete. Ready to build on now!